Full Device management, Work Profile management and Dedicated Device management. Enterprises must manage a wide range of devices, including corporate-owned, employee-owned, and sometimes a mix of corporate-owned / personally-enabled devices. With all of these different levels of ownership and usage, businesses need to make sure business apps and data are safe on any device used for work, no matter who owns the device. 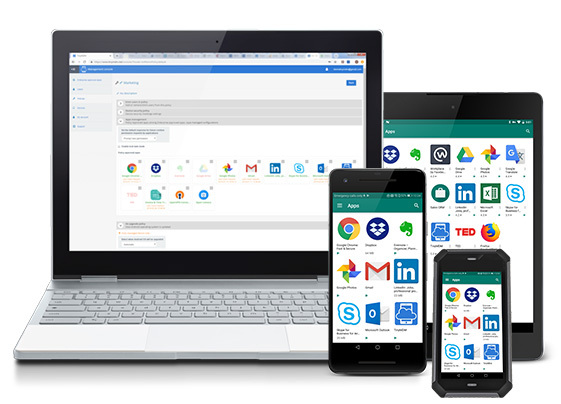 With TinyMDM, officially approved by Android EMM for three different management sets, IT administrator can manage all devices from one place: fully managed devices, work profiles, and dedicated devices (kiosk mode). The Full Device Management set is ideal for corporate-owned devices intended for professional use only (COBO – Corporate Owned Business Only). Device-wide controls (such as a complete device wipe and reset to factory default settings) are also available on fully managed devices. 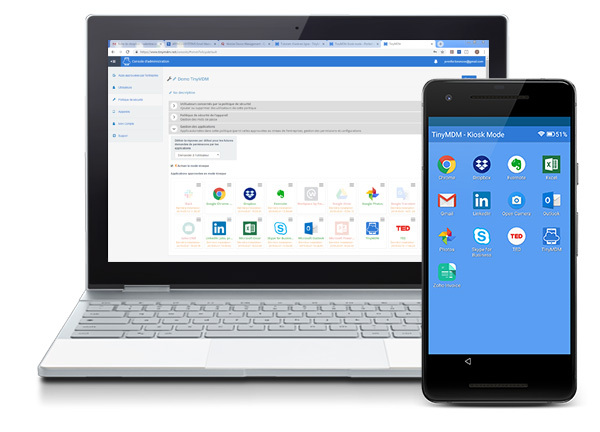 Creating a secure mobile workspace can require extra layers of security, which is why most of the time organisations will choose this management set. 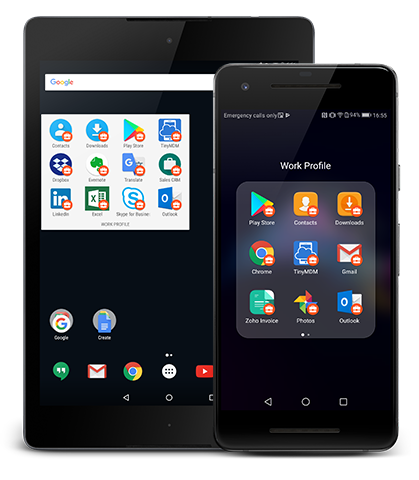 Work profile management is intended for managing employee-owned devices (BYOD) and company-owned / personally enabled devices (COPE). By creating a Work Profile, IT administrators can manage a secure container on the device, business dedicated, separately from personal data. Professional apps and data are held in a stand-alone part of the device, and enterprises have no visibility nor access to user’s private data, whose privacy is respected. More info about Work Profile here. Devices can sometimes be needed to work in a very restricted mode (COSU): the dedicated device solution is made to lock down the usage of those devices to a single app (or small set of apps), and prevents users from enabling other apps or performing any other actions. Kiosk screens display only the apps that have been authorized by the administrator. This is the most appropriate solution for public facing environments (point of sales, museums, libraries, etc.) or employee facing scenarios (inventory management, ticket scanning, field service…). More info about Kiosk mode here.